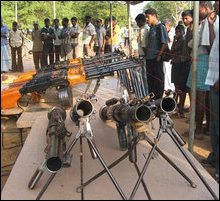 Liberation Tigers of Tamileelam (LTTE) Sunday displayed weapons seized by them in the clearing mission after heavy fighting in the frontiers of Mullaiththeevu district on Saturday. 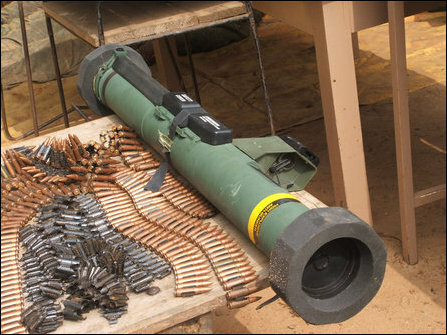 One of the weapons in the display together with four Rocket Propelled Grenade Launchers was an Anti-Bunker LAW. 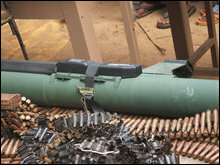 Among the ammunitions in the display was a grenade with a tag in Urdu, the language of Pakistan, which states: "the grenade is ready to charge". 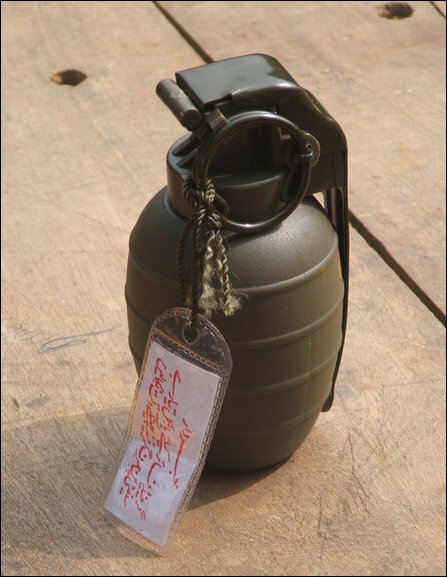 Grenade with a tag in Urdu, which says the grenade is ready to use. 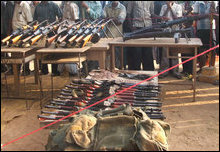 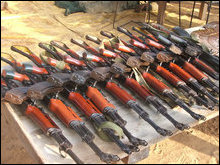 28.12.08 Tigers display weapons seized in Saturday's fighti..
28.12.08 17-year-old SLA soldier killed in Vanni battlefron..
28.12.08 Tigers seize arms, recover 16 SLA bodies in A'lamp..